As part of an ongoing mission to bolster German-language translations of literature in the United States, the German Book Office New York and the Goethe-Institut New York have announced a translation competition for aspiring translators, students and lovers of the German language. Contestants will submit translations of a pre-determined 700-word excerpt from Nora Bossong’s new novel, Gesellschaft mit beschraenkter Haftung. A jury of American editors with no knowledge of German will create a shortlist of the best submissions based on the English text. 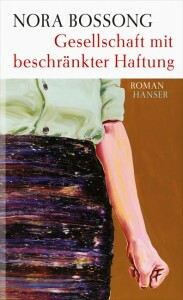 A second jury of accomplished German-to-English translators will review the shortlist, comparing the English translations to the German originals, and select three finalists. The three finalists will be invited to an evening panel discussion on December 12th, where their work will be discussed and the winner of the contest will be announced. The winning translator will be paid $600 to translate the first 15 pages of Nora Bossong’s novel. The award ceremony and panel discussion will be on December 12, 6-8 pm. Translators must be US-based and should not have more than one translated book published in English. No age restrictions apply. To get a copy of the excerpt to translate, email Grace Moss (moss@newyork.gbo.org) at the German Book Office along with your name, address and the titles of any published books you have translated. Submit your translation to Grace Moss via email by October 15, 2012.